So now your friends, business associates or relatives and their opinions will now be combined directly into your Google search results. This is Google’s attempt to become more of a social based provider in their search engine results. As of now however, it will not include any of your Facebook friends. So let’s say that you’re searching for a particular store downtown, and an acquaintance of yours happens to comment on it. In your search, Google will let you know by incorporating his or her review directly in the search results. This move according to some experts, is similar to what Bing current does on their search results, and Google may be attempting to match them. Google’s plan is to combine their current search results with the opinions or comments of someone that you may know. 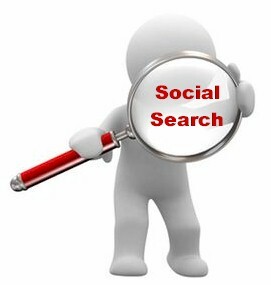 This apparent move towards socially based search results is an acknowledgment that query relevancy will now also include your relationships as well. Google originally introduced a Social Search based function a few years ago, but recently has made improvements to it. They are now moving towards more visibly integrated information from all your social networks, including: Flickr, YouTube, your websites and blogs. Google’s social search results will be combined throughout your search results which will still be based on relevance. In the past, they only appeared at the bottom of the results pages. The end result is that you’ll begin to see more from those you network with, such as your coworkers, with annotations directly below the search results that they have created or shared. So on a Thursday night, you’re thinking of going downtown to The Blue Room Café, so you do a search on Google for directions and maybe a review. A good colleague of yours, Susan, has written a detailed blog post about her dining experience there. So what Google will do is they will ‘bump’ up her post, along with a note, as well as a picture if available in your search results. You will be then be able to see who shared the review in an ‘annotation’ which will be listed directly underneath. Google is making social search a lot more comprehensive as well, by they adding notes for links that people have shared on other sites such as Twitter. In the past, what Google did was they displayed results that people created, but then linked them through their Google profiles. Now, if someone that you may have a connection with, has shared a link publicly, Google may decide to show that link directly in your search results. Those results were only previously made visible to you when you were signed in. For Example: Say that you’re looking for a particular Relevant Products/Services video of an interview of someone famous who was recently on Oprah, and a friend of yours happened to of tweeted the video. Her result may show up a lot higher in your search results, including a note and a picture. No Facebook In Google Results? Google is now offering a lot more control over how you are able to connect your accounts. You will still be able to do so publicly on your Google profile, but Google has also added an additional option to connect your accounts privately. There may be in some point in the future that Google may eventually attempt to access Facebook’s massive ‘Likes’ database, but most likely not anytime soon. This for a variety of reasons according to industry experts. So it looks like for now, that Google has to put together a social graph of their own, using alternate sources.